David Ramos/Getty ImagesFounder and CEO of Facebook Mark Zuckerberg. 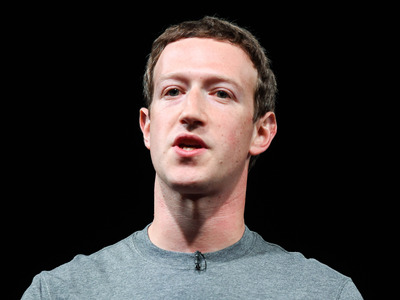 Even billionaire tech entrepreneurs get hacked. Some of Facebook CEO Mark Zuckerberg’s social media accounts were hijacked late on Sunday, with the attackers posting messages from them showing off their access. The hacker(s) — who use the name OurMine Team — managed to get into Zuckerberg’s Twitter and Pinterest accounts, and also claimed to have broken into his Instagram account, although Facebook denied this to VentureBeat, and there doesn’t seem to be any evidence of it. How did the attackers get in? It looks like Zuck made a basic security mistake: He reused the same passwords. Back in 2012, professional social network LinkedIn got hacked. The hack was back in the news again recently as the full scale of the hack finally came to light — more than 160 million accounts were compromised. The implication is that the 32-year-old CEO reused this password on Twitter and Pinterest — and the hackers got in that way. Zuckerberg isn’t a big Twitter user. His last tweet was sent in 2012, and the rogue tweets sent by the hackers have since been deleted. Don’t want to make the same mistake as Zuck? Security experts recommend that you use a different, strong password for each account you have. That way, if one of them gets compromised, the others aren’t too. If it’s difficult to remember all the passwords, then use a password manager.